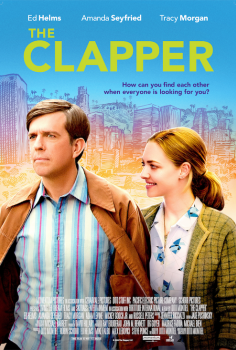 The Clapper - Available as a download or stream? Dito Montiel’s “The Clapper” is a film adaptation of the novel ‘Eddie Krumble Is the Clapper’, which Montiel wrote himself. Ed Helms stars as an actor with a recurring gig on a well-known infomercial, he receives an opportunity to escape the stigma his occupation creates when an offer to star in a television series comes his way. Supporting roles are portrayed by Amanda Seyfried, Tracy Morgan, Leah Remimi, Adam Levine, Brenda Vaccaro, and Russell Peters. It also features Alan Thicke in his final role, as he unfortunately lost his life in December of 2016.